Estate planning is one of those things many Ohioans have on their to-do list but don’t get around to for years. It’s typically a simple process that our office can accomplish for you in a matter of two phone-calls, two emails, and a brief meeting to execute the documents. The typical estate plan consists of a will, a living will, a healthcare power of attorney, a durable general power of attorney, and an appointment of representative for funeral purposes. If you have questions about any of these documents, feel free to contact our office. 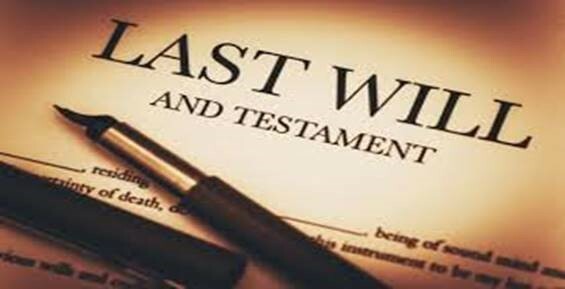 Of the basic documents, wills are typically the priority for our clients. If you pass away without a will, the state you live in will essentially make one for you. This is known as passing “intestate,” which is the condition of dying without a will. Each State has its own set of rules on how to distribute a person’s property that are laid out in the intestacy statute. See R.C. Chapter 2105 (http://codes.ohio.gov/orc/2105). Therefore, if your dying wishes are not made clear, then it is completely up to the State to make decisions on your behalf on how to distribute your property. Even if someone close to you knows what your wishes were, there is no exception to how things are distributed by the State, unless you have a valid will. It is important that you get to decide what happens to your estate, so avoiding the mandates of the intestacy statute is paramount. Here’s just one example of how things can pan out when someone dies without a will. Take, for instance, a situation where a non-married, 24-year old only child passes away. He is survived by his girlfriend of 10 years, who he had planned on proposing to in the next few months. He had told numerous people, including his mother who had also recently passed away, that if anything ever happened to him, he absolutely wants his girlfriend to have everything. And he meant it. He is also survived by an abusive father that hasn’t been in his life for nearly a decade. The father despises his girlfriend and didn’t even come to his mother’s funeral. The father just got out of prison for abusing another child that he’d had in a recent marriage—which was a pattern that the decedent knew all too well. The 24-year old leaves behind significant assets. Without a will, where does it all go? In most states, it will go to the father, thanks to the intestacy statute, because he is the next closest line in the family. Even though there was no relationship between the two and everyone knew the decedent would want to give everything to his long-time girlfriend and zilch to his absent father, there is no will that specifies otherwise. So guess what? The father takes it all. Creating a will is a selfless act. It not only benefits you, but it helps your loved ones as well. It is relatively inexpensive while having a lasting effect. Who would you want to handle matters after you’re gone? How do you plan on taking care of your loved ones, financially? What will you leave behind to them and how will things be divided? Who do you want to have that special family heirloom? Who gets the car? The tools? The furniture? These are the type of things you would put in a will, so that whatever you’re leaving behind, there is no dispute as to what your intentions were and no one can claim anything that wasn’t meant for them. You are the only person that can execute your own wishes. When the time comes, it will make things less stressful for the family and will defeat any tension when it comes to distributing the property. And with a will, you don’t have to trust that the State will send things where you’d have otherwise preferred. When you finally decide to get around to it, Thornville, Ohio Estate Planning Attorney Steve Whetstone is happy to help you with your will and other estate planning needs. It’s a painless process that saves so many headaches down the road.